This PATROL is a Vehicle mounted 360° panoramic camera; ﻿"Body worn video for vehicles"﻿. With PATROL you no longer need to be looking in the right direction to capture that critical footage. Unlike PTZ cameras, PATROL looks in all directions all of the time capturing the entire 360° panoramic all-around view without compromise. Intrinsically robust, PATROL has been built to meet the rigours of vehicle mounting and has been rigorously tested and evaluated to exceed the demands of the emergency services community. 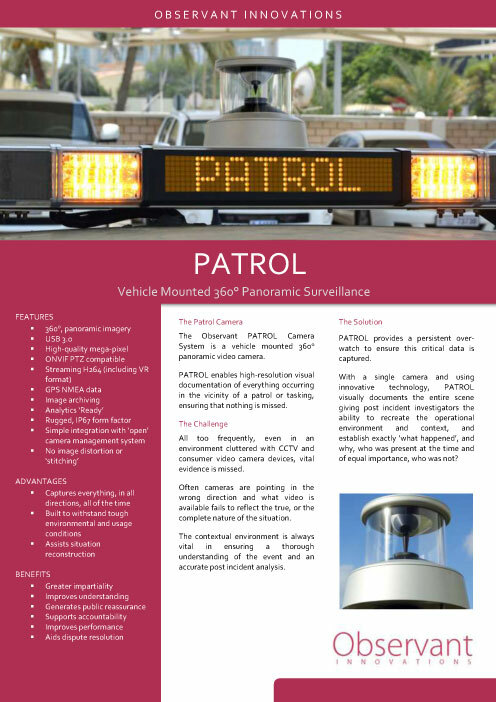 ​PATROL is designed as part of an integrated in-vehicle PC based surveillance system. The camera operates as a virtual PTZ device, but by using a mirror-based high fidelity virtual panoramic imaging system, it has no moving parts. 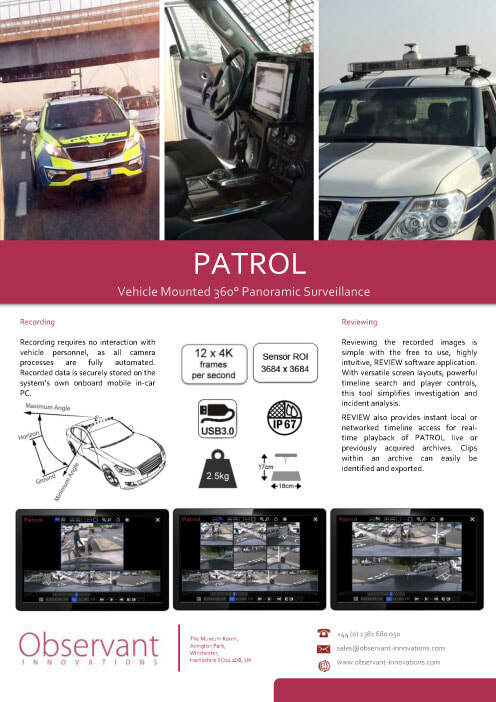 PATROL captures 360° Panorama Images which are able to be transformed for viewing in real-time using applications from the Patrol Suite of Software. While the system is recording, complete Panorama Images are archived in a hierarchical filing system, which is organised to be efficiently accessed using time as the primary index. 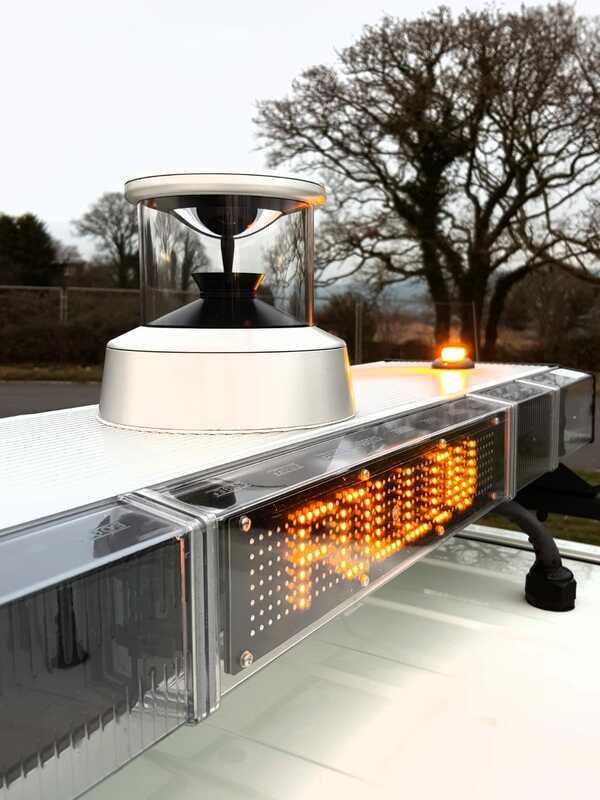 Observant‘s PATROL is a camera system purpose built for mobile use, designed to be mounted prominently above a vehicle. Click on either of the images below to download.